If your regime for protection against electrical surges starts and ends with fitting a lightning conductor to the top of your building, then not only are you unlikely to be fully protected against all lightning induced surges, but probably thousands of pounds’ worth of equipment is aging prematurely as well. Without us knowing about it, electrical surges are happening in factories, offices public buildings and even our homes all the time. Most of these will be generated internally, and might be only a few volts. Every time a motor starts or stops, a valve actuates, the air conditioning starts up or a refrigerator circuits kick in, electricity is sent flowing back into the power network. We will never see or feel any visible results of most of these internally generated surges, but that doesn’t mean they are not having an impact on our systems. Hundreds of different electrical items can be vulnerable to these low voltage power surges. Anything containing a microprocessor can see its proper functioning interrupted. Further, because the low voltage surges are rarely big enough to blow a device’s fuse, the result can be what is sometimes referred to as ‘electronic rusting’, gradually degrading internal circuitry and resulting in premature failure. There are also numerous causes of external power surges; significantly, these tend to be much higher voltages. For example, surges can occur when the power comes back on after an outage, or can come into the premises via telephone and cable TV lines. Common causes of high voltage surges include tree limbs touching a power line or a small animal getting into a transformer. Perhaps the most problematic cause, though, because of the voltages involved, is lightning. Statistically a direct lightning strike to a premises is highly unlikely, but when it does happen it can have a catastrophic impact on unprotected systems. More frequent than a direct strike on an individual’s premises or a particular building, lightning will sometimes strike utility equipment, with a resulting surge that can hit a large number of buildings. A direct lightning strike can generate an electrical spike of well over 500,000 V (and localised temperatures up to 10,000C), with an indirect strike still able to reach above 10,000V. While rare, these large voltage surges can cause far reaching and instantaneous damage: frying circuits and melting both plastic and metal parts. A single event, for which insurance rarely exists, can have enormous commercial consequences in terms of damaged equipment, loss of vital data, and operational breakdowns in factory or process environments. Too many companies, businesses and individuals find out the hard way that surge protection is an essential consideration. Effective protection against internal and external, direct and indirect electrical surges can be provided by surge protection devices (SPDs), as defined under the lightning protection standard BSEN62305 and the low voltage surge protection standard EN61643-11. Clearly, it is the high voltage surges that place the highest stresses on SPDs. The efficiency and effectiveness of the SPDs comes down to the combination of their electrical design and their housing. 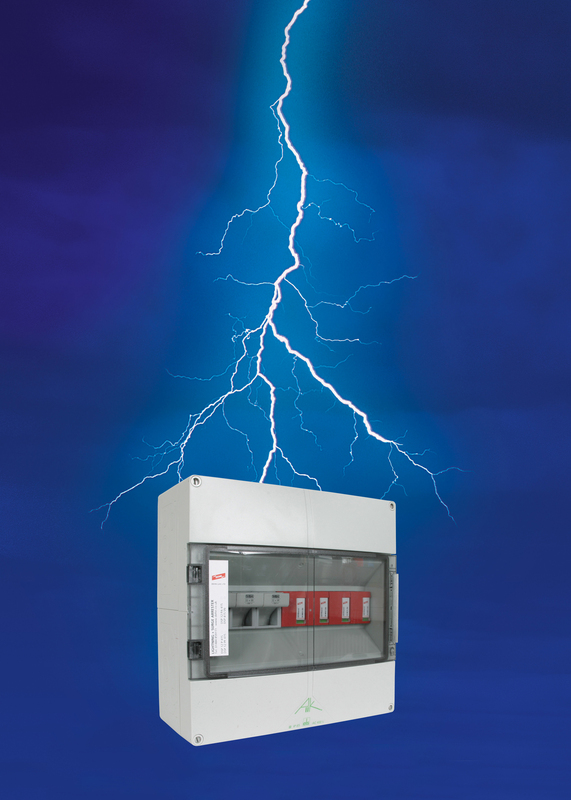 With this in mind, Spelsberg – a leader in the field of electrical enclosures – has a close working relationship with DEHN (UK), the acknowledged market leader in lightning and surge protection. 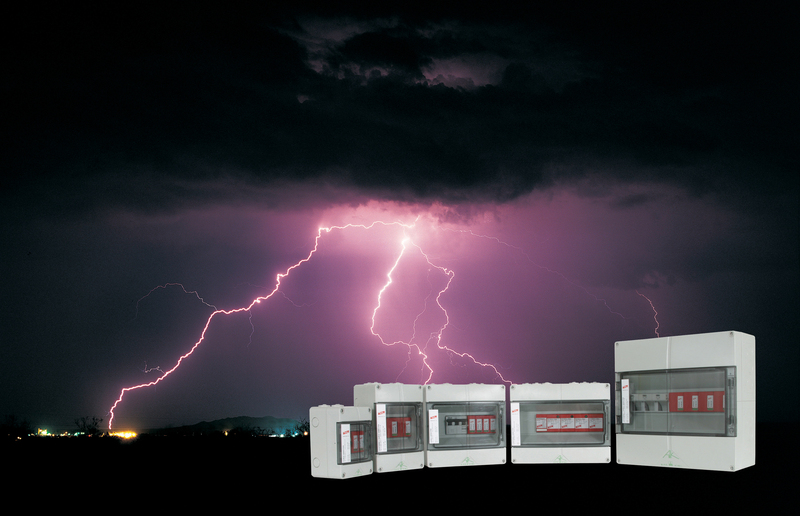 For many years, DEHN has been using Spelsberg’s innovative enclosures to house its lightning surge protectors. These are designed to provide several ‘zones’ of protection. 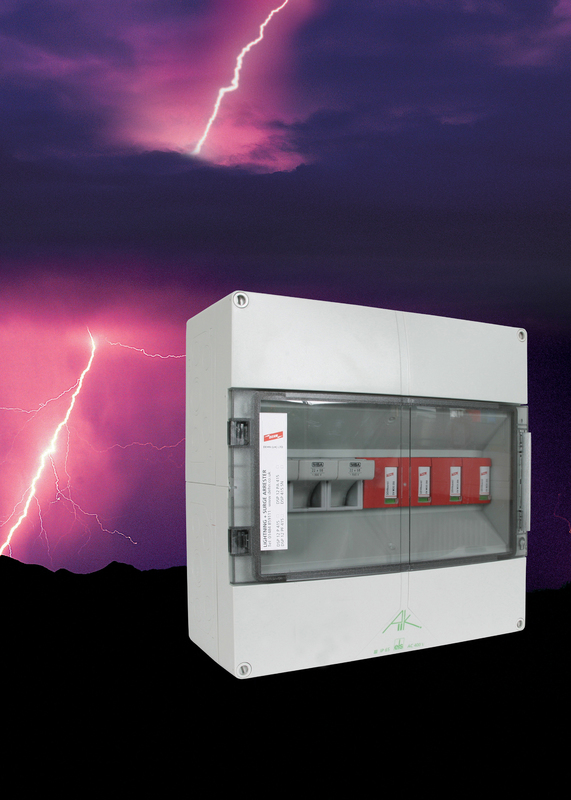 They can safeguard against direct and indirect external lightning strikes to buildings and also protect sensitive equipment inside the buildings. Spelsberg’s AK range is DEHN’s enclosure of choice, combining strong physical protection and electrical isolation with the convenience of easy mounting of components. Transparent doors allow quick checks for control and monitoring purposes with easy access to switchgear. Integral seals provide fast-fit cable entries, and a thoughtful design gives maximum wiring space plus an aesthetically pleasing finish to the product. On top of offering strong and practical solutions, all Spelsberg AK enclosures are available empty or with a complete range of accessories (supplied or ready fitted). Enclosures can also be supplied with bespoke entries, engraved corporate logos or fitted terminals within 48 hours. All products are assembled in the UK, with the AK series complying with DEN VDE 0471. When specifying SPDs, particularly for protection against direct and indirect lightning strikes, users should consider both the SPD type and the lightning protection zone (LPZ). There are three types of SPDs defined in BSEN62305 and EN61643-11. Additionally, combined SPDs are available which have the advantage of offering both lightning protection and surge protection in one SPD. Type 1 SPDs are designed to carry partial lightning currents and are defined as being tested with a high energy wave shape. Type 1 SPDs must be installed on incoming services (for example mains power and data lines) when an external lightning protection system (LPS) is installed on a building. Where partial lightning currents can also flow due to a direct lightning strike on overhead supplies or externally mounted equipment, Type 1 SPDs should also be used. Type 2 and Type 3 SPDs are designed to discharge the induced surges created by lightning and also other transient surge events such as switching surges, supply faults, etc. These devices are defined as being tested with a specific energy wave shape for Type 2 SPDs or a combination wave shape for Type 3. For many applications where the requirement is to provide surge protection only, Type 2 and Type 3 SPDs play a critical role in protecting electronic equipment. BSEN 62305-4 specifies that a co-ordinated SPD should be used at each LPZ. To ensure compliance, new buildings should be fitted automatically with these devices, while occupiers of older buildings should make sure the equipment is present and up to date. Surge protection is important for the safety of people, buildings and equipment. Identifying and fitting the correct type of SPD is essential, so expert advice and high quality products are usually the best solution. Chris Lloyd is Managing Director of Spelsberg UK.